More than money and buckles. It’s all about the try. The 2018 Chase is over. The top fifteen in each event have been decided. With the ink barely dry on the final checks of the season, a new season has begun, and we’re already hitting it hard. 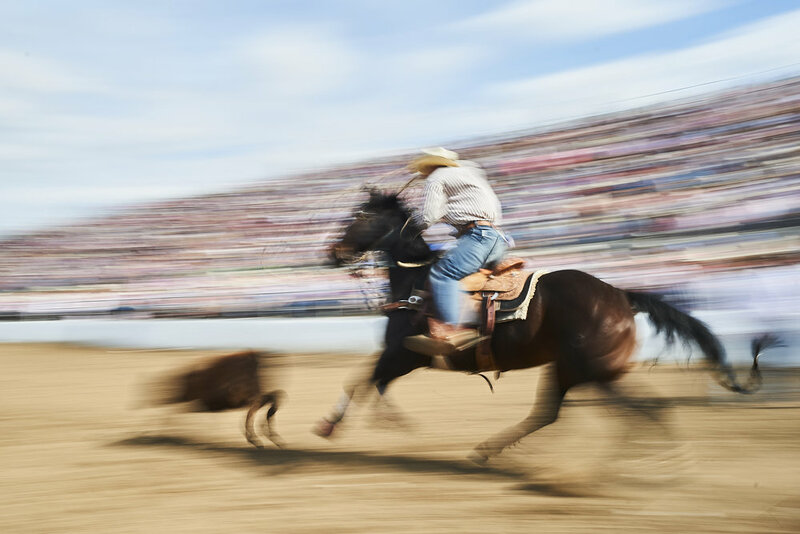 Nowhere is that more clear than among the saddle-bronc riders we followed this year. Chase, who fought his way off the bubble to qualify for his first National Finals Rodeo, traveled to Waco, Texas, over the weekend and finished first and second in the All-American ProRodeo Finals, giving himself a five-thousand-dollar leg up for the 2019 season. J.J. Elshere, who ended 2018 in the crying hole, dusted himself off for the Badlands Circuit Finals in Minot, North Dakota, and finished first in three rounds and third in the average to take home sixty-five hundred dollars. As for the rest, Kyle won a couple thousand dollars at the Northwest Florida Championship Rodeo. It was in Bonifay, fifteen minutes from his house, or close enough to be there and back before Ellie Marie woke from her nap. Jessie and her girls are turtle-sitting while her husband Jake shows reined cow horses in the 2018 Snaffle Bit Futurity in Fort Worth, Texas. Rhen, who earned his first trip to Las Vegas in two events, is back in Utah resting his horses and himself. Cole, who also qualified for his first NFR, has teamed up with header Tyler Wade since his partner Kolton didn’t make the cut. And Adam is enjoying his health, nodding his head at more more jackpots and rodeos than he has in years and counting on pushing past seventeen and into the top fifteen next year. A big thanks to our partners CINCH Jeans and Classic Equine for supporting this series. Catch up on all the storylines at The Chase: On the Bubble.